Socialite Corazon Kwamboka was out to show off her ‘gee’, Nigeria’s fast rising star Runtown. Runtown whose real name is Douglas Jack Agua is known for his hit song Gallardo which features Davido. He also has been rumored to have sold the his hit song Aye to Davido. 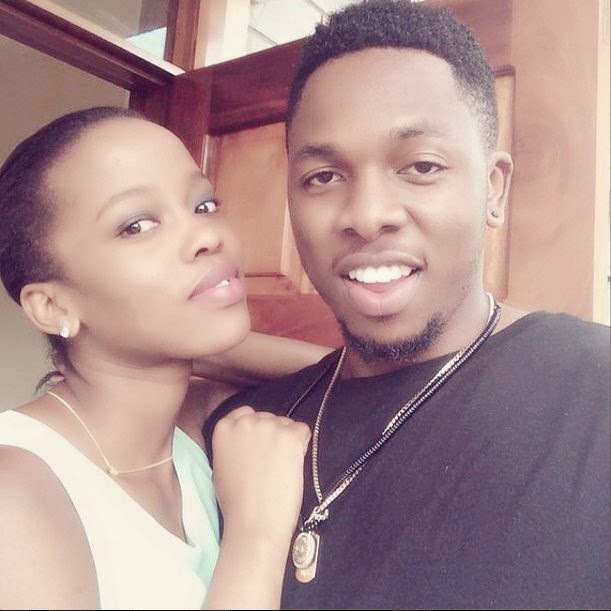 Runtown jetted into the country last week for a media tour to promote his music and one of his Kenyan buddies, the endowed Corazon, was on hand to make him feel at home. And she posted a photo with the star and captioned it: My Gee @runtown is in town.